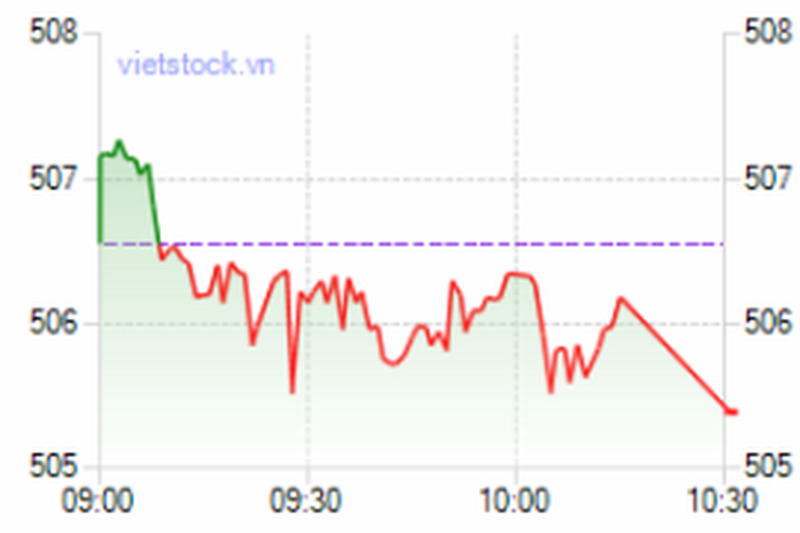 Vietnam’s benchmark VN-Index on July 21 continued to make corrections, despite a rally on international stock markets and positive macroeconomic news. The shares of 247 companies and four mutual funds listed on the Ho Chi Minh Stock Exchange retreated 0.23 percent, or 1.16 points, to close at 505.4 points. The index slid as most blue-chips dropped, while investors sold penny-chips heavily to book profits. 82 stocks gained, 125 declined and 44 remained unchanged. Liquidity on the southern market significantly improved, as around 50 million shares changed hands, at a value of VND1.47 trillion. Vinh Son - Song Hinh Hydropower Joint Stock Company (VSH) topped the list of most active shares by volume with 1.75 million shares changing hands. Vien Dong Investment Development Trading Corporation (VID) tagged along with 1.7 million shares, followed by Sao Mai Construction Corporation (ASM) with 1.52 million shares. Nari Hamico Minerals Joint Stock Company (KSS) slumped 37.62 percent, falling to VND39,300. The company will sell 12.39 million shares to increase its chartered capital to VND241.9 billion, of which 11.8 million shares will be sold to current shareholders at a price of VND12,000 per share. The rest will be sold to its employees at a 1:1 ratio. Chuong Duong Beverages Joint Stock Company (SCD) closed down 5 percent to VND30,400. Lilama 10 Joint Stock Company (L10) sank 4.91 percent to VND38,700. Ha Tien Transport Joint Stock Company (HTV) and My Chau Printing & Packaging Holding Company (MCP) advanced 5 percent to VND27,300 and VND14,700 respectively. From July 23 to September 23, Tran Minh Huy, chief accountant of Ha Tien Transport Joint Stock Company (HTV), registered to sell all 3,000 shares to cover his children’s tuition fees. Binh Duong Construction and Civil Engineering Joint Stock Company (BCE) added up 4.98 percent to VND23,200. 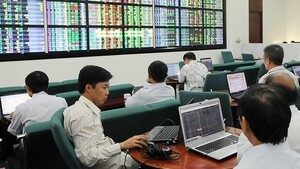 The Hanoi-based HNX-Index fell 1.18 points, or 0.74 percent, to 158.97 points. Trading volume reached 48.6 million shares, worth VND1.33 trillion. The UPCoM-Index lost 1.34 points, or 2.36 percent, to 55.56, as of 11:05 am local time. Around VND11.3 billion was spent to trade 524,270 shares.